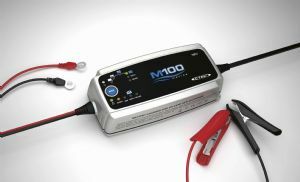 M100 is a smart and flexible 12V battery charger and one of the newest members in CTEKs new Marine line. 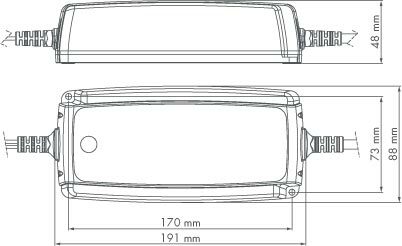 It satisfies the need of battery care in the marine environment for 14-225Ah batteries and even AGM batteries. • Eight step, fully automatic switch mode model. • Charges lead-acid batteries (Wet, MF, GEL and AGM) from 14Ah to 225Ah. • Four options: 14.4V, 14.7V, 13.6V/Supply and 15.8V/Recond. • Low back current drain, low ripple and input voltage independent (220-240V). • Delivered with connection lead with clamps.